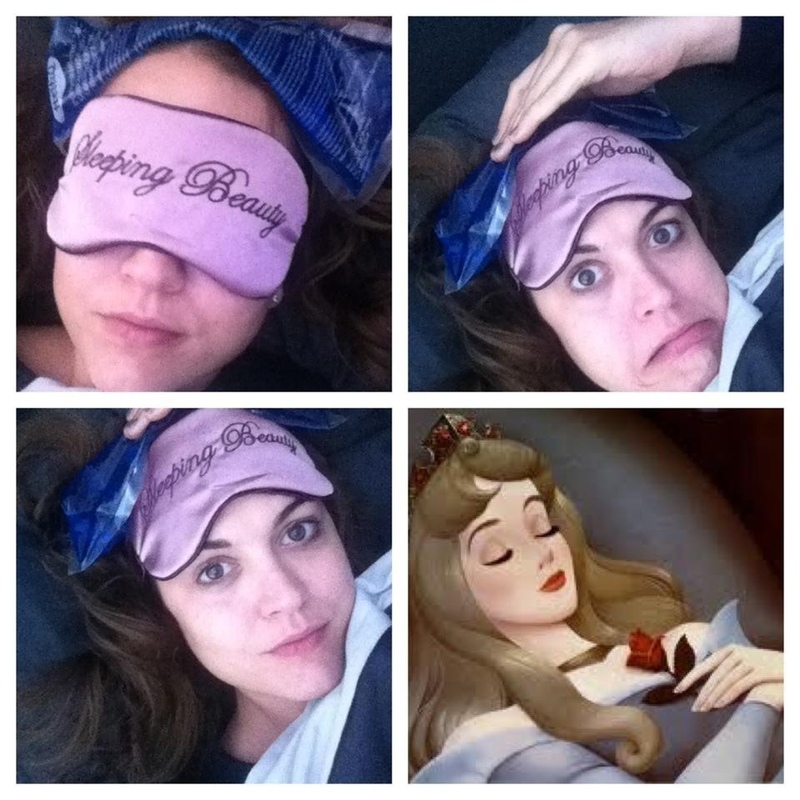 Worst morning, Sleeping Beauty and Prince Charming – . Woke up at 6 AM with the infamous headache – I am still blaming the Rebif on it as my neurologist told me lesions don’t cause any pain, but that headaches are more common with MS. Well, it’s not just a headache, I really can’t move or do anything during an attack. All I want to do is scream and bang my head against a wall. This is really not my week, not only a relapse that limits me, now also the headaches. Bye yoga, outside world, life. I must admit, I felt kind of hopeless this morning until my humor kicked in and saved the day thanks to my sleeping mask. “Sleeping Beauty” – I wonder if she had MS, too, sleeping 100 years. Wish I could on days like today. Fact is, I hardly slept the past 3 nights and also didn’t catch up on it during the day. We both have a hero Prince Charming who battles and fights for us if we can’t, no matter what. My Prince Charming saved me and rushed for Advil, Paracetamol, espresso ( my new trick for an extra painkiller push ) and ice pack the second he realized what’s going on and it was very very early in the morning. I cried ( finally ) a little because of the intense pain and the fact that I am so fed up with this – but once he put his hand on my head, all was fine and I could even sleep for another hour or two. His hand was still on my forehead when I woke up…. I don’t fight this battle alone and have someone watch my back if I can’t fight anymore. Always. So again, thank you from the bottom of my heart for supporting me. You are my best friend and partner, private chef, partner in crime, travel companion, male nurse…and my own Prince Charming.